Would you like to feel empowered, knowledgeable, and successful at your child’s IEP meetings instead of feeling outnumbered, frustrated, and hopeless? Become the coach of your child’s IEP team! Valerie Aprahamian empowers frustrated parents to become a powerful advocate for their special needs child so that they can receive the education they deserve from their local school district. But the complex laws that regulate special education can be difficult for parents to navigate when you’ve never done it before. Training with Valerie will equip you to learn self advocacy skills and gain the knowledge you need to become your child’s greatest advocate. It is Valerie’s priority to ensure that you are fully informed about your parental rights and provisions under the Individuals with Disabilities Education Act (IDEA). Want helpful tips to guide, motivate and inform you to become a successful advocate for your child delivered right to your inbox each month? 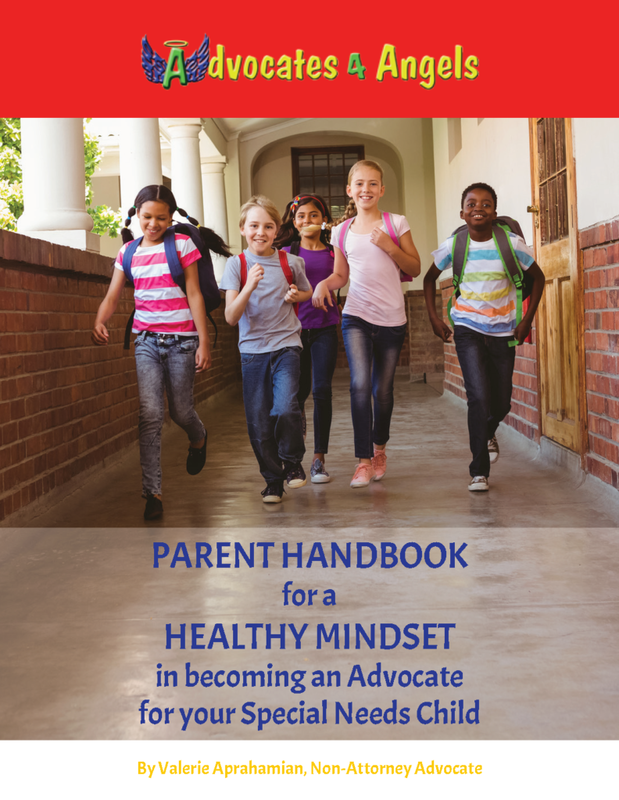 Register today and as a FREE BONUS you will receive the new Parent Handbook written by Valerie Aprahamian! The greatest challenge to parents and educators can be properly identifying special needs children. The behavior exhibited by special needs children can be misinterpreted and considered as defiance, lack of motivation and/or laziness. That misidentification can lead to punitive disciplinary actions, instead of positive behavior interventions which therefore provide an appropriate education. If you have just come home from yet another unsuccessful IEP meeting, where you felt like an observer and not a participant in your child’s education, then you are in the right place. Your child may never learn to develop the appropriate social skills to make friends, act appropriately at home and in the community or at school. Your child may never learn to speak or communicate. Your child may not be able to learn or make educational progress. Your child may never be able to get a job or be gainfully employed. If you dream of your child attending college, that dream is at risk without an appropriate high school transition plan and IEP accommodations. Your ability to advocate can make the difference between your child living at home with you or living independently after high school. You are at risk of feeling guilty of not being the best parent you can be by not knowing how to hold the school district accountable to educate your child. You are at risk of feeling regret and worried that you’re not doing enough to advocate for your child. Your child is at risk of being dependent upon an adult for the rest of their life because they never learned how to problem solve to complete a challenging task independently. You’re tired of feeling anxious, hopeless and frustrated. I’ve helped parents across the country become advocates for their children. I’ve empowered them to be the coach of their IEP team instead of feeling like it is a game set up to pit you against them. How would it feel if you knew how to overcome the district staff’s denials and excuses to the point that they approved your requests? What if you were able to understand their authoritative “jargon” and “IEP language” to the extent that you could present yourself as an educated participant in IEP discussions regarding your child’s goals, accommodations, and test scores? How would it feel if you knew that you were able to get your child the best special education program available that would meet your child’s needs and your child would be able to reach their highest potential? How would it feel if your child began to communicate better and you saw them learning and following directions at school? What would it feel like if your child began making friends and learn the social skills they need to interact with their peers? What if your child began to enjoy school and you saw them developing strong self-esteem? 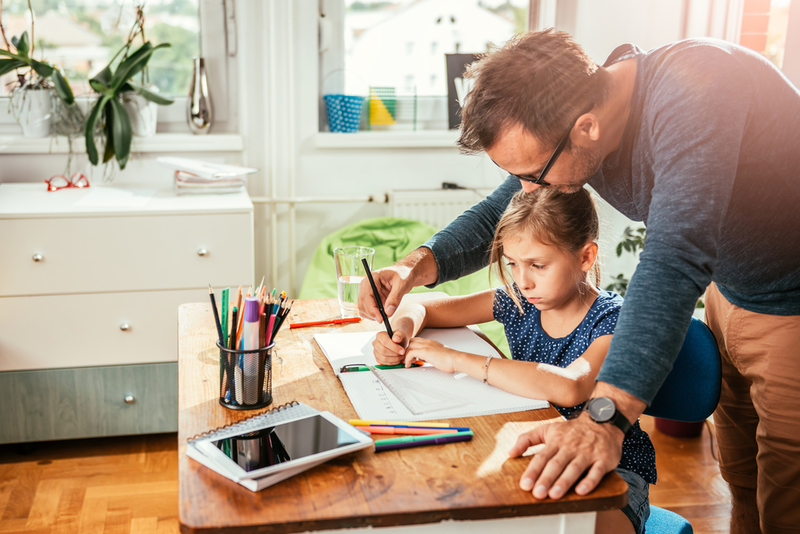 Would you like to see your child begin to take ownership of their school responsibilities and have the motivation to do their homework independently? What would it feel like to have your IEP team respect you because they realize you are a parent who knows how to implement your parent rights as mandated by IDEA? It is your time to become a successful advocate for your child. Don’t waste another day feeling frustrated by the system. Learn how you can take action in your child’s education, defining the outcomes your family deserves.